"JYM Supplement Science combines real science with best-in-class ingredients and precise doses to deliver unreal results. 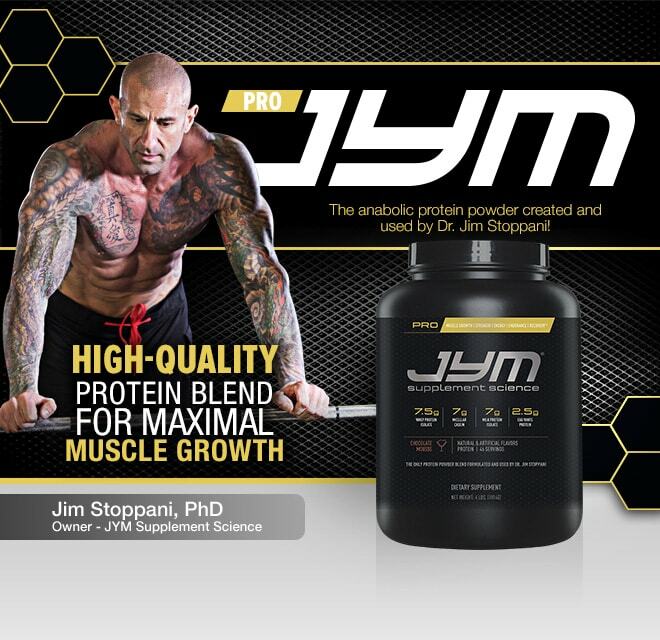 Pro JYM is my exclusive protein blend designed to help you build muscle, recover faster, and train stronger. Whether you want to boost strength, add size, or get shredded, Pro JYM is for you. It's a powerful blend of proteins that add up to pure muscle fuel." These flavors are awesome! The Jym brand as a whole is never disappointing! Love it! Been on Jym for a few years and the new CPB is my favorite. Great in water, milk or power blender shake. 10 Gingerbread Cookie - Limited Edition! So very bland. 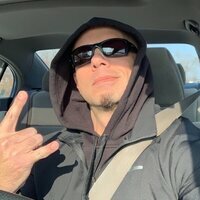 I tried Pro Jym when it first launched years ago. It was bland then, and it's still bland. I regret trying it again. 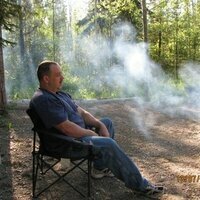 Just finished 1st 4lb'er of Jym Pro, I use it POST-Workout - Works great. I train late at night and go to bed 1-2 hr after training. 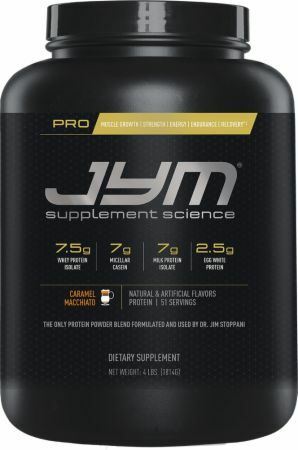 Jym Pro is great as it's very palatable, gives me the nutrients I need to recover, and also allows me to go to sleep without having a stuff 4 chicken breasts down before I go to sleep. Does not mix well at all. A good ratio would be 16 oz to 1 scoop, but then you don't even taste the vanilla. 1 scoop per 8 oz and you're gonna get unmixable bits that get stuck in your shaker no matter how hard you shake it AND IT'S VERY POWDERY TEXTURED. It's so thick and powdery it's like drinking quick sand. Flavor is good tho. Doesn't mix with water that well. Has actual marshmallows in it and if you have the free bodybuilding shaker they don't fit through the mesh unless you soak them for a long time. The best thing about Pro Jym is the blend of 4 different proteins without buying 4 different products. It is a bit pricey but definitely but saves money if you only want to buy 1 protein product instead of multiple and also eliminates the question of how a self blended protein might taste. The biggest downside is no aminos which is not an issue if you invest in the entire pricey line (tons of aminos in the pre & post) or buy a separate amino supplement from a different line. A lot of people have to adjust to the texture difference vs just whey protein, it's a bit thicker like cow milk or a milkshake. After getting used to it, I no longer like the taste of straight whey products. They generally taste good and all taste even better cold and/or using milk instead of water. Not only do they help with your muscle building goals, but help curb cravings by keeping your appetite satisfied without the bloated feeling and tasting like a treat (some better than others but kind of like a milkshake). The old Chocolate Cookie Crunch was 10/10, but the new flavor does not taste like chocolate; it tastes more like the Caramel Macchiato with bits of the cookie pieces in it. The taste isn't awful unless you're expecting it to taste like chocolate, the old recipe tasted straight up like a delicious milkshake. The Caramel Macchiato flavor doesn't really taste like caramel or coffee to me. It's kind of hard to say what it tastes like. Again the flavor itself it palatable if you're not expecting it to taste what the label says. The S'mores flavor used to be my 2nd favorite (out of the ones I've tried) but now is my favorite since Jim changed the Chocolate Cookie Crunch. It tastes mostly chocolatey with a small hint of graham cracker flavor without the graham cracker grittiness. There are also little tiny marshmallows like the ones in hot chocolate packets which I love but may not be for everyone. The marshmallows are crunchy unless you let it sit and absorb more liquid. I've also tried the Cookies & Cream but decided not to rate it because it's been so long. Unless its been changed, it basically tasted like a vanilla milkshake with tiny bits of cookie (like the Chocolate Cookie Crunch). It was very good, and I wouldn't mind getting it again but prefer having chocolate everyday. My favorite protein on the market and the smores is the best flavor I've ever tried. Taste good in water, but it taste excellent in milk. The chocolate mousse is the same way, but I like using it to make a smoothie rather than as a pre-workout. How many calories per scoop? I've wrote a review on Pro Jym before but wanted to submit my views on the new Choc Peanut Butter. The peanut butter taste is very subtle. It sort of tastes like a Reese's peanut butter cup. Doesn't taste artificial and chemically like some other brands. Another quality flavor from Jim. Other than the chalky taste after several weeks of using this product I have been noticing a difference in my recovery. I am impressed. I will definitely be exploring the different flavors before settling on one. I am sold on this Brand for all my supplementation needs. Digest easily, no big issues here but I have a big problem with the yield!!! 60% of protein per serving is quite weak add to that all the gum things and additives!!! This can be a superb product if you just cut all the additional things we don’t NEED!!! Protein Blend (Whey Protein Isolate, Micellar Casein, Milk Protein Isolate, Egg Protein), Coconut-Based Creamer (Coconut Oil, Maltodextrin, Food Starch, Mono- and Diglycerides, Tricalcium Phosphate), Spray Dried Coffee, Natural And Artificial Flavors, Salt, Gum Blend (Cellulose Gum, Xanthan Gum, Carrageenan), Sucralose, Acesulfame Potassium, Silicon Dioxide, Sunflower Lecithin. Directions For Pro JYM: Mix each scoop of Pro JYM in 6-12 oz. of water or milk depending on your preference for thickness and texture. Consume 1-2 scoops within 30 minutes before workouts, and 1-2 scoops within 30 minutes after workouts. Also consider taking 1-2 scoops when you first wake up each day and before going to bed for maximizing lean muscle mass gains. You can also consume 1-2 scoops between regular meals. Warnings: Do not use as a sole source of nutrition. Do not exceed the recommended daily dose. Keep out of reach of children. Check with a qualified healthcare professional before taking this product if you are pregnant, nursing a baby, under 18 years of age, or if you have any known or suspected medical condition(s) and/or are taking any prescription or OTC medication(s). Concerning California Residents: This product contains a chemical known to the State of California to cause cancer, birth defects, or other reproductive harm.